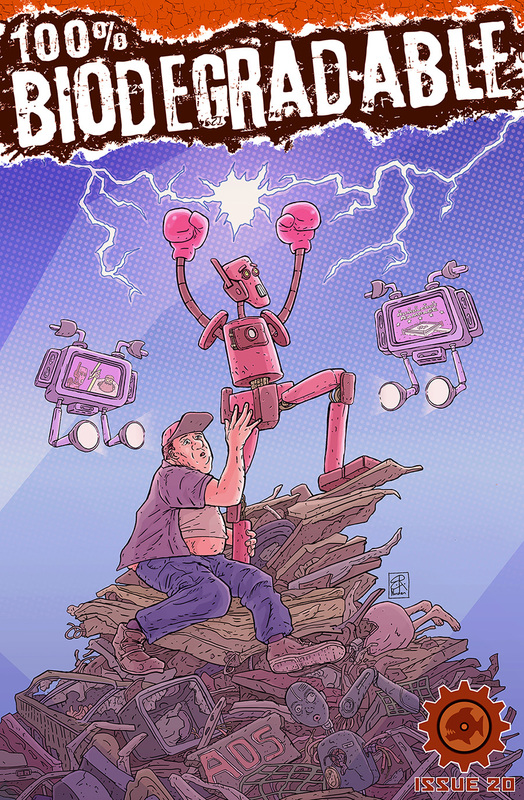 Home of gigantic meka-mutant carnage! World Book Day Deals And New Biodegradable Comic Release! So, it's World Book Day in the UK this week, and to celebrate I have made the Kindle version of Grynbad And The Seven Soups free to download for this weekend only, in all countries! 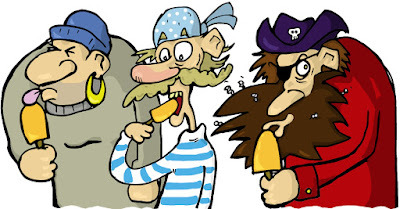 Treat yourself to some fun soup-related pirate hijinks here. 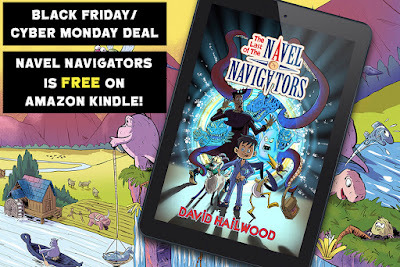 Also, as part of a UK-only deal, The Last Of The Navel Navigators is available for just 99p as part of a Kindle Countdown Deal for the weekend (and Amazon have even seen fit to temporarily reduce the price of the paperback). For all your hillbilly bellybutton needs, click here. 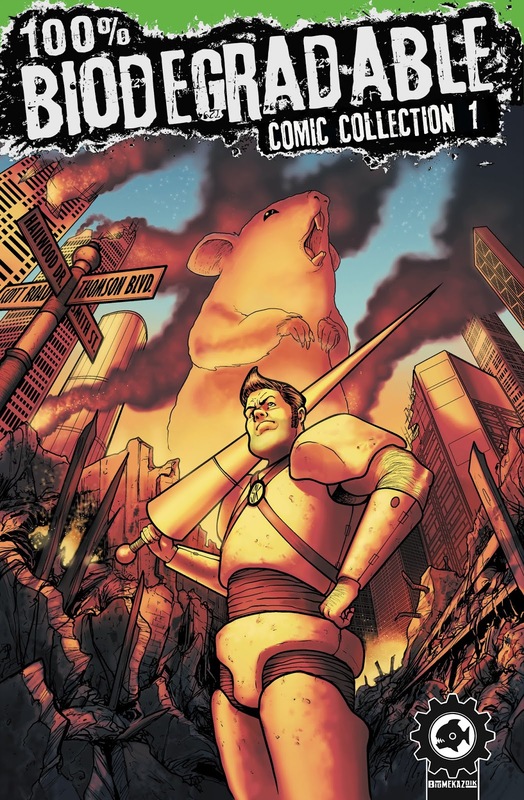 And in other news, I've finally released print versions of the 100% Biodegradable Collection 1 and 2 on Amazon (with more to follow in the future). 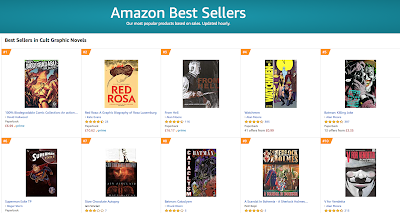 The first collection went straight to number 1 of the Amazon Best Sellers chart 'Cult Graphic Novels' category, so it's worth buying for just £6.99 whilst it's cheap. 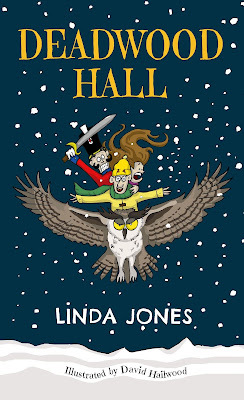 Deadwood Hall children's book now available! 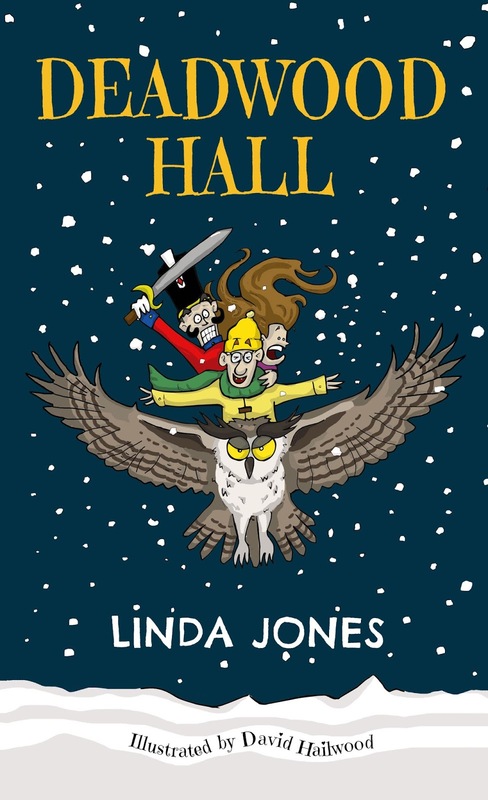 Late last year I was invited by the author Linda Jones to illustrate her upcoming children's novel 'Deadwood Hall', which launched just before Christmas. It's a book about secrets, friendship and magic. 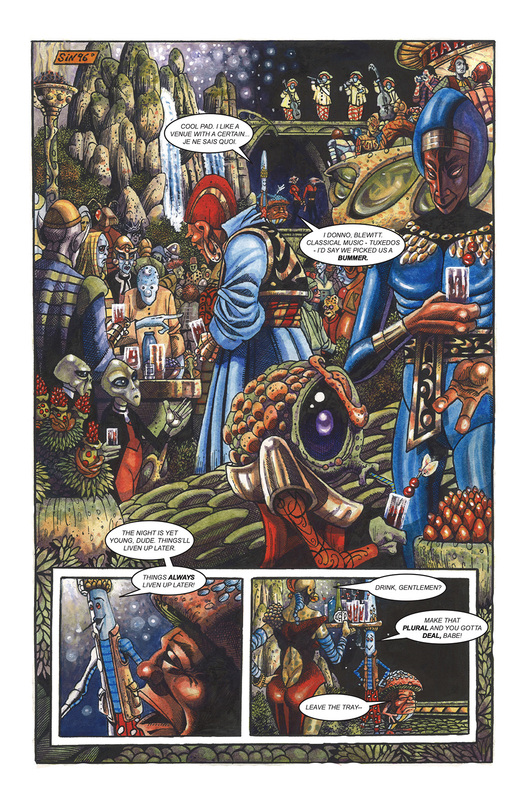 Though what drew me to the project was the fact that I'd get to draw giant rampaging insects and slimy lizard creatures (and to think that my school teachers only ever wanted me to draw wicker baskets and bowls of fruit! They missed a trick there, I reckon). Since I'm just about to get started on illustrating the sequel, I figured this might be a good time to actually mention that the first book is out. 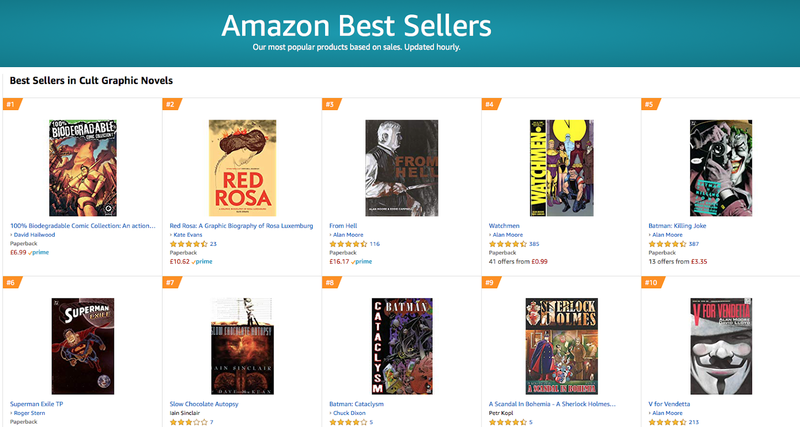 It's already managed to hit the top 100 bestseller charts in the 'Fantasy and Magic' category (at number 57), and seems to be going down well. So if you happen to have one of them 'small human' types, perhaps consider giving it a look. 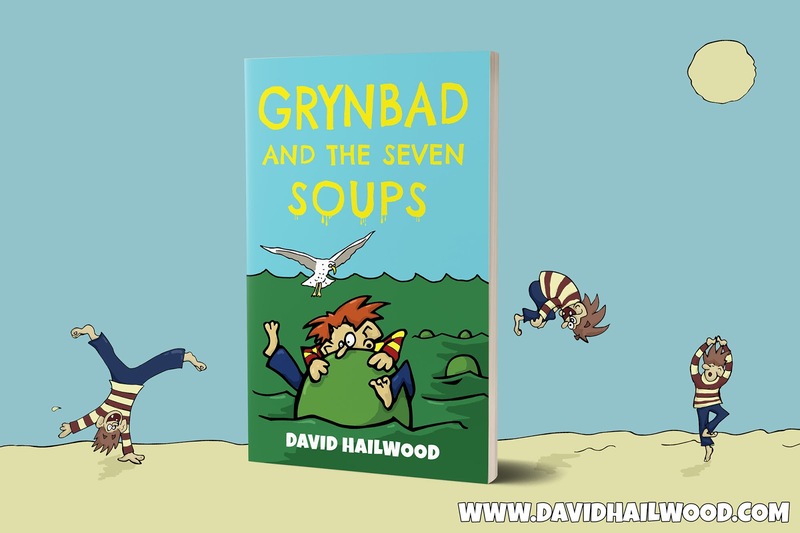 In other news, I'm also hard at work writing and illustrating the Grynbad sequel, 'Grynbad And The Eye Of Griselda', which sees Timmy Grynbad and his mischievous grandpa take to their skies on the most miserable magic carpet in the world, as they go in search of an old ladies eyeball. Featuring more pirates, harpies and dragons than you can shake a peg leg or hook hand at! The first Grynbad is still doing really well on Amazon, who keep giving it a rather fetching orange sticker. 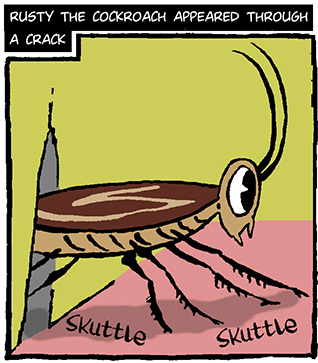 I'm also in the process of trying to get the first 100% Biodegradable Comic Collection accepted by Amazon. The Kindle version went through without a hitch, but the print version keeps getting rejected due to 'lack of bleed' (even though the bleed is spot on). I've heard this is a problem that's scuppered many a comic creator before, so here's hoping I manage to get through the process with at least a tiny bit of my sanity intact. Black Friday book and comic deals! It's Black Friday, and you know what that means don't you? Yes...Endless fistfights in electrical stores, and verbal abuse of hapless retail staff. Oh, what merry larks! For those who don't much fancy getting involved in good old English fisticuffs, at least there's plenty of digital sales on at the moment. 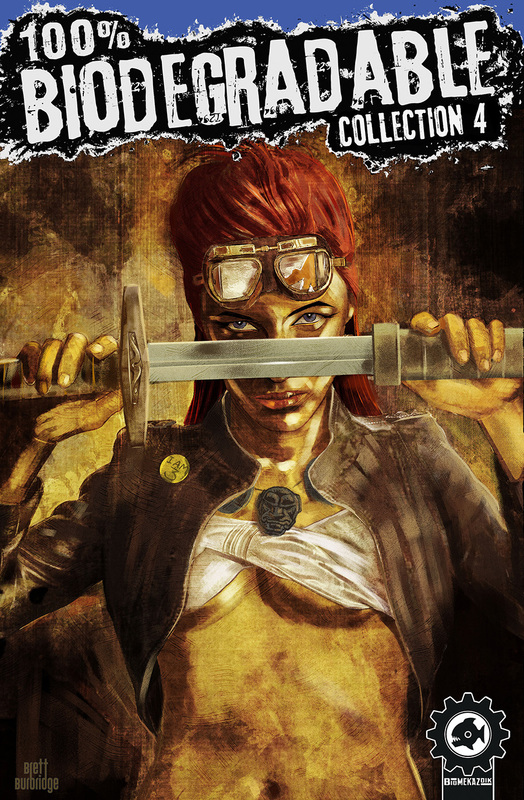 Meanwhile, in the world of comic-related carnage, all 100% Biodegradable digital issues have been reduced by 33% to just $0.66 (that's about 50p in the UK) on Drivethru Comics until Monday. The final 100% Biodegradable is out! 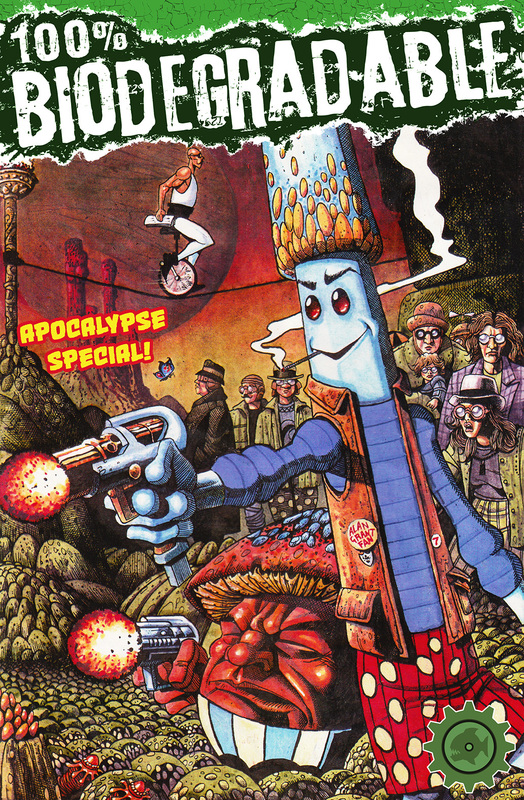 Well, here it is...the final issue of 100% Biodegradable, complete with a face-munchingly fantastic cover by Edward Whatley. 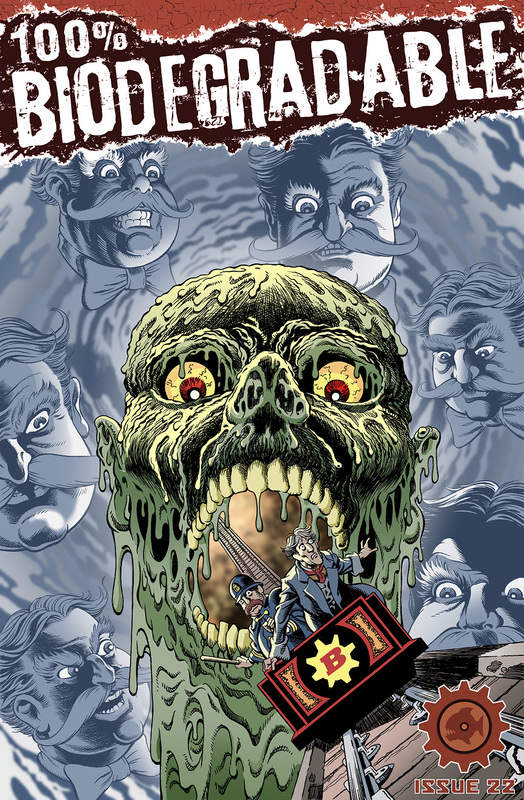 A haunted roller coaster ride spells trouble for a police detective suffering from motion sickness in Death Coaster by David Hailwood and Edward Whatley. 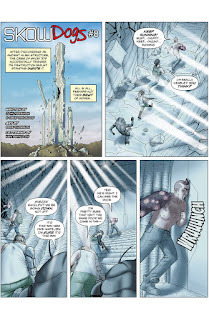 To achieve endless peace, a scientist must make the ultimate sacrifice in Suicide Paradiso by David Hailwood and Stu Smith. 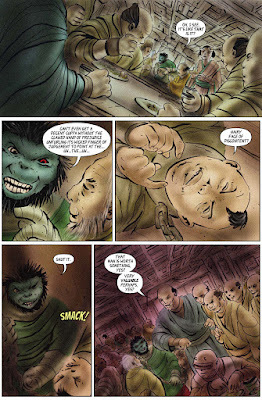 Wisecracking ape bounty hunter Pubba Gintaro goes up against samurai gangsters and android geishas in Monkey’s Tea Party by David Hailwood and Tony Suleri. 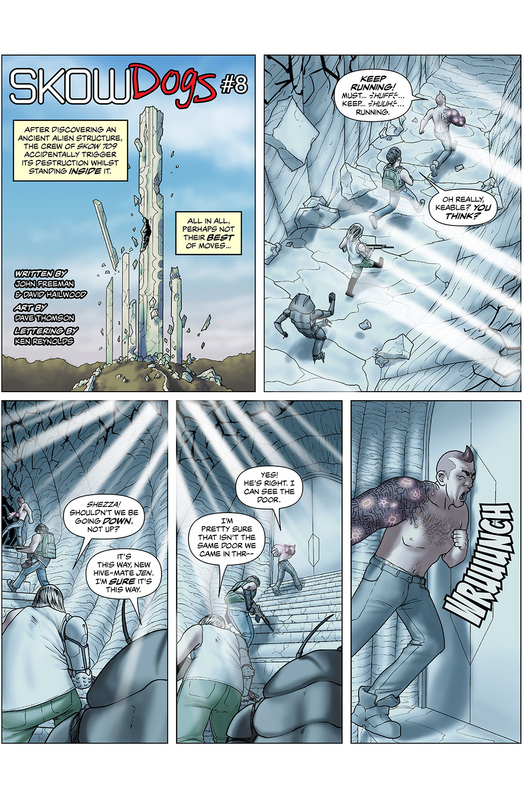 Can the crew of Skow 709 escape an ancient alien citadel before the whole place comes crashing down on top of them? 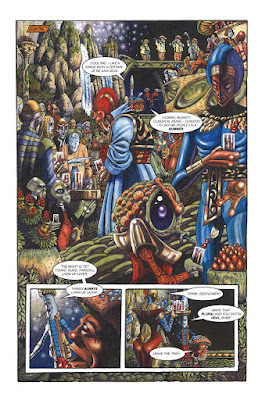 Find out in the thrilling conclusion to Skowdogs by John Freeman, David Hailwood, Dave Thomson and Ken Reynolds. 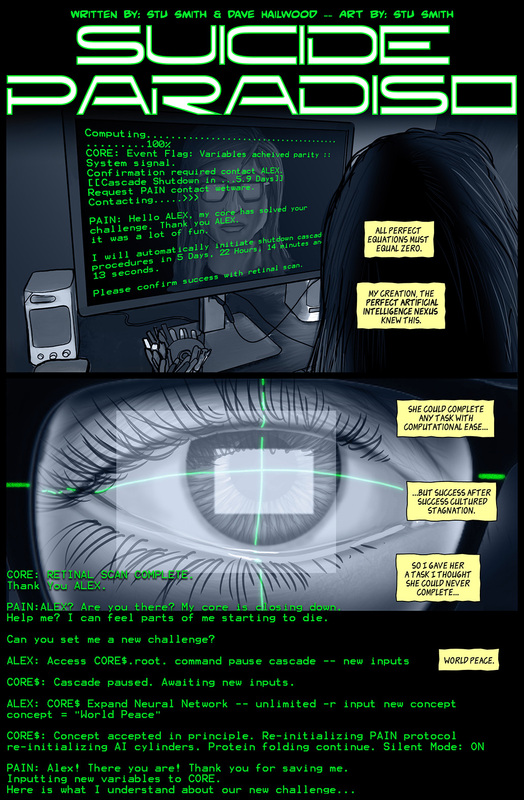 A rogue A.I. 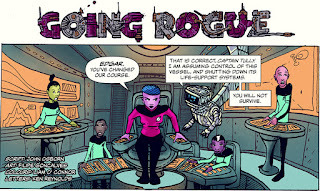 threatens the crew of a space exploration vessel in Going Rogue by John Osborn, Filipe Goncalves, Liam O’ Connor and Ken Reynolds. 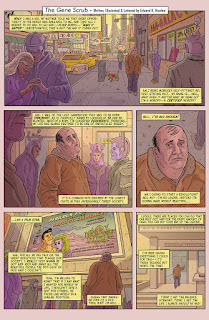 The ugliest man on the planet looks to trendy cosmetic geneticists for help in The Gene Scrub by Edward R. Norden. Although the fat lady might be doing her vocal warm-ups, she's not singing yet, because we have one more comic to give to you...the 100% Biodegradable Apocalypse Special. 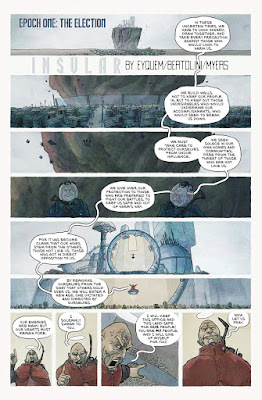 Yes, what better way to end our five year comics massacre than by destroying the human race...again and again and again! 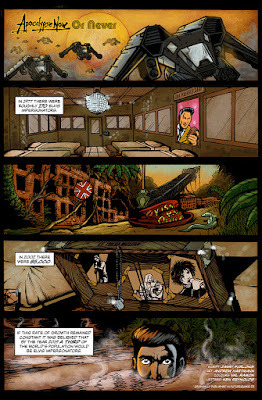 Everyone’s favourite party crashing mushrooms celebrate Earth’s 5 billionth birthday in true Funguys style…drink, drugs and gunfire in ‘The party of the party of the first part’ by Alan Grant, Alan Burrows and Matt Yeo. Well, there you have it then...the end of 100% Biodegradable. In our five-year rampage, over a hundred mentally unhinged creators have cut a bloody swath through Biodegradable’s hallowed halls, leaving 750 pages of comic strip carnage in their wake. Just look at this glorious collection of covers! 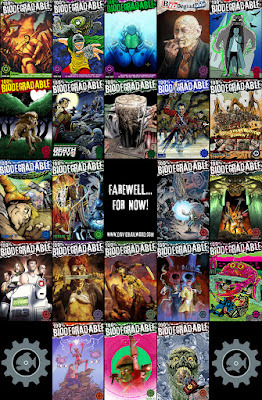 Looking back on the past 22 issues, I am immensely proud of what we all achieved. And I say ‘all’ because it’s been a team effort all the way. 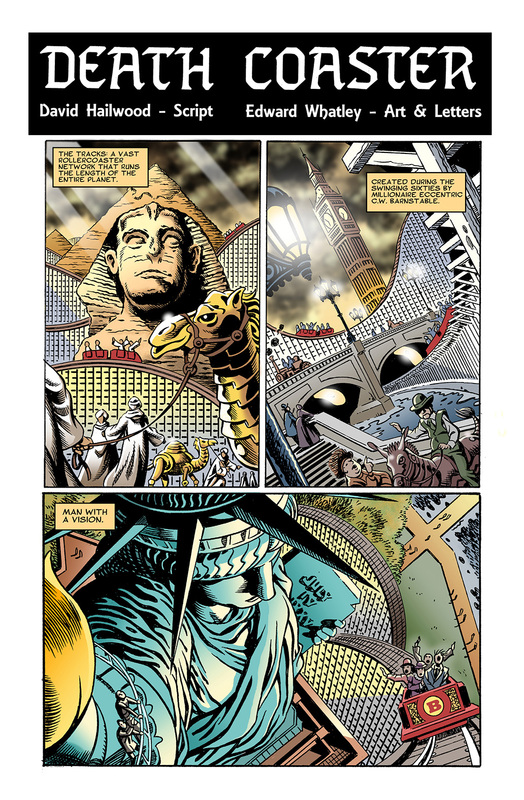 The original Assistant Editor John Kirkham set a particularly high standard with his tight design skills and impeccable eye for detail, and then along came Ken Reynolds who, as well as doing a sterling job as John‘s replacement, lettered the bulk of 100% Biodegradable’s strips. And where would I have been without Tony Suleri’s consistently brilliant artwork which graced the pages of every single issue of 100% Biodegradable? 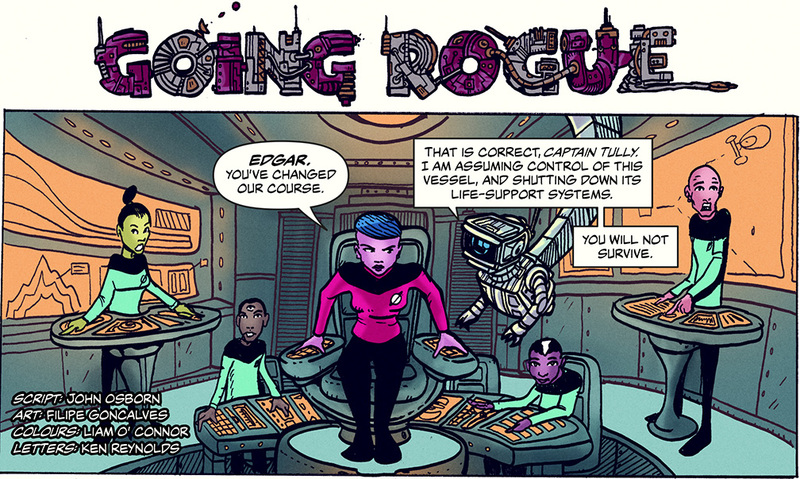 Or without everyone’s favourite artist in a crisis, Brett Burbridge, who has come to my artistic aid on a ridiculous number of occasions (I’m sure he’ll be relieved that the Brett Signal is being retired, and he can finally hang up his spandex Dave Savin’ suit). Thanks also to the many other comic contributors, of whom there's far too many to name here (they're listed and thanked inside the final Biodegradable issue). 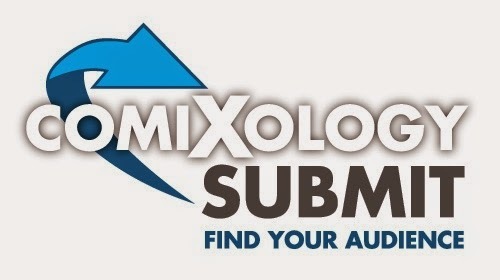 We’ve also had a lot of support from many great comic review sites. 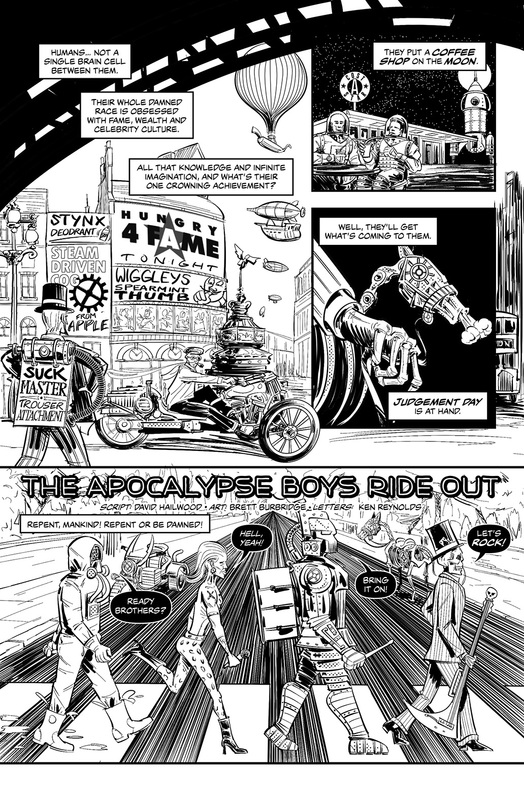 Special thanks to John Freeman’s Down The Tubes, A Place To Hang Your Cape and Pipedream Comics for all their excellent coverage and insightful feedback over the past five years. 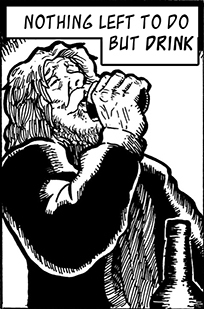 As for the readers...Thanks for supporting this mutant oddity of an anthology. It’s been a wild and crazy ride, and I’m glad you were along for the journey. Alas…all good things must come to an end, and it’s time to bid farewell...for now, at least. If the special is well received, we might put out a few more 100% Biodegradable specials at a later date. The beast that wouldn’t die might rear its ugly head once again! We also have the final 100% Biodegradable and Skowdogs print collection to put together. I expect myself and John Freeman will get stuck into more Death Duty and Skowdogs at some point down the line, as we had a lot of fun writing those series together and seeing the crazy designs Brett Burbridge and Dave Thomson came up with. I’m also working with Tony Suleri on a number of projects, such as Technofear starring everyone’s favourite ape bounty hunter Pubba Gintaro, and a Marren Kane one shot. 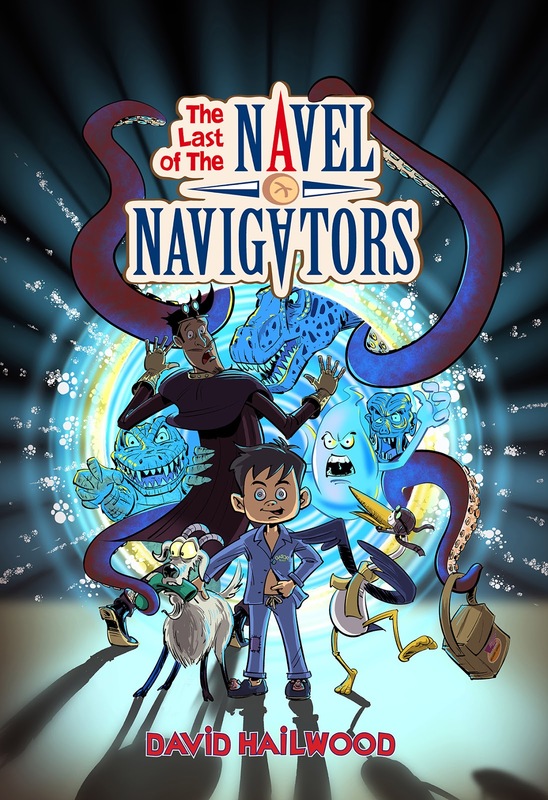 My main focus for the next few years (and hopefully beyond) will be writing/publishing children's novels and sci-fi/fantasy novels, and I'm pleased to say that both The Last Of The Navel Navigators and Grynbad and The Seven Soups are selling nicely, and have already made it onto Amazon's best sellers lists and even the Myths and Legends wish list. As soon as I get the chance I'll do a write up of my learnings from 5 years editing 100% Biodegradable, and will also try and write regular articles about the indie book self publishing process. As I'm writing full time now, there's plenty more books, comics and random insanity on the cards. Thanks for all your support so far, folks! You've been fabulous. 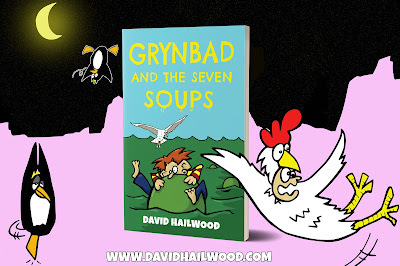 Grynbad And The Seven Soups is currently available for just 99p/$0.99 (UK and US only) until the 30th August, as part of a Kindle Countdown Deal. Or, if you happen to have Kindle Unlimited or Amazon Prime, you can read it for free. 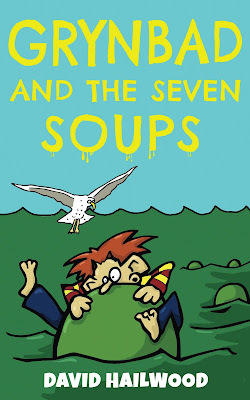 If you've yet to read the story of one boy's quest to retrieve his Grandpa's false teeth, which have been stolen by a dastardly beast that lives in minestrone, now's a great time to do so! 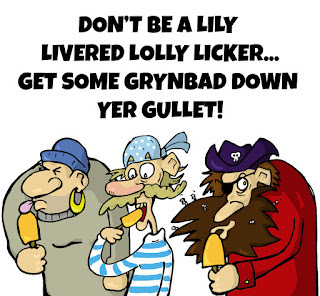 Grynbad has been entered into the Kindle Storyteller Competition, which finishes at the end of the month. Thanks to those who've bought the book so far, it currently resides on page 2 of the 'children's ebooks' category. Since there's over 50 pages of children's ebooks, that's not bad going I reckon! I've also begun work on the sequel, titled 'Grynbad And The Eye Of Griselda', which sees young Timmy Grynbad teaming up with his mischievous Grandpa to embark on another madcap quest, with the assistance of their newly acquired Tragic Carpet, Alan. The Mega Meaty Monster Comics Giveaway! 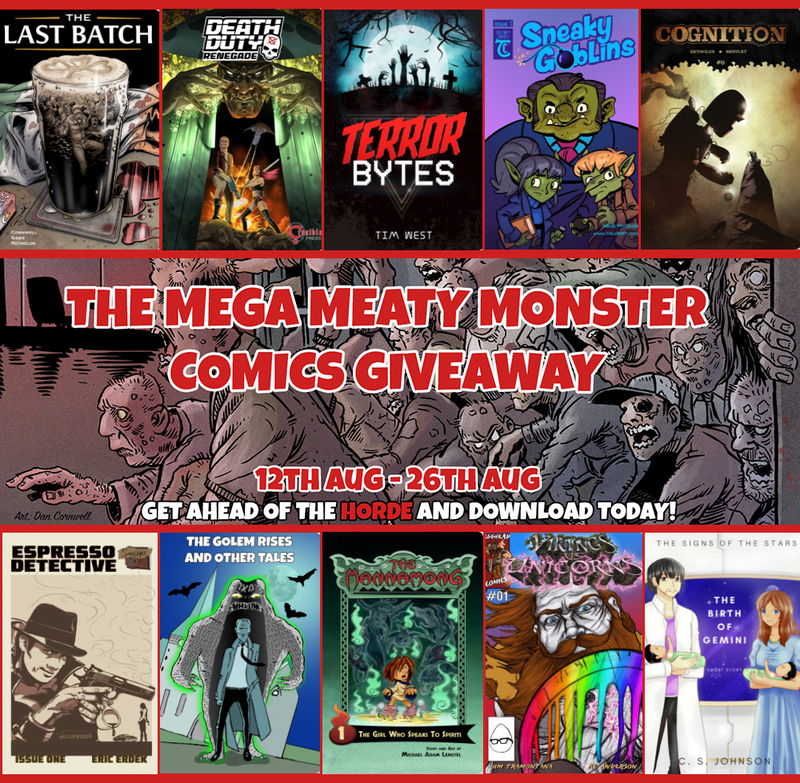 Whether it’s boozed-up zombies, gigantic rampaging guinea pigs, or evil murderous unicorns you’re after, the Mega Meaty Monster Comics Giveaway has got you covered! Assembled by myself using the Instafreebie service, the giveaway features over a dozen free sci-fi, fantasy, action and horror comics from top indie creators, including Dan Cornwell (2000ad, FutureQuake), Chris Sides (Impossible, Dark Matter), Ken Reynolds (Sliced Quarterly, Cognition), Rene Pfitzner (Sneaky Goblins), Lukasz Kowalczuk (Aces Weekly), Tim West (Hallowscream) and many more. As well as being completely free, the comics are available to read in three different formats; pdf, epub, or mobi (for Kindle). Just follow the link, and grab yourself a healthy slice of comic-related insanity before the giveaway finishes on the 26th August. The secret of the soup! I'm pleased to announce my latest children's book, Grynbad And The Seven Soups, is out now on Amazon! This one has a bit of a story behind it, as I wrote it some years back whilst suffering from writer's block. I say 'writer's block' though it was more like 'writer's repetition'; I was attempting to finish my Navel Navigators novel at the time, and instead found myself writing the same darned chapter over and over again for about a year, never able to get it quite right (I can always tell when the writing's not going so well, as my document naming convention goes out the window; instead of using something along the lines of 'NavelNavigatorsDraft28' I end up going with 'Aaaaaaaaaaaaaarggggghhhh! ', 'Whhhhhhhyyyyyyyyy?????' or a terribly rude swear word). He then showed me a youtube video to prove it (it wasn't this particular video, but it's the best example I could find...). Now, most people would've edged away at this point whilst attempting to avoid eye contact, but not me (I do like a good custard video). My brain was suddenly whirring away with ideas. Custard...a land of custard...what a great setting for a children's novel! But must it only be custard? Could get a bit samey. What other liquids are there plenty of? Soups! 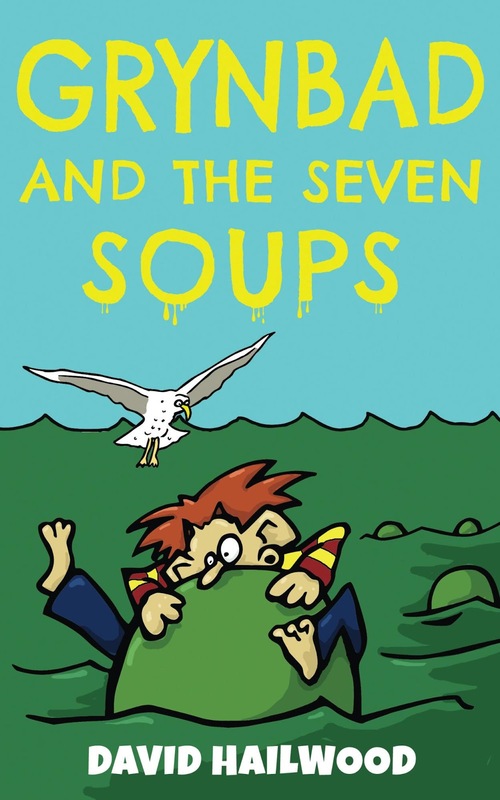 Seven soups...yes, just like Sinbad might have sailed, if he'd gone a bit off course! Hmm, perhaps custard could act as the portal to a whole world of soup related adventures? Now we're cooking! I rushed down to the local supermarket and did some hefty research in the soup aisle (it's alright, it was Sainsbury's - they're used to nutters in there) trying to imagine what foul creatures might inhabit the various soups. A terrifying Man-Eating Manotaur, which inhabits Oxtail Soup. Once I'd got home from my little expedition and finished shaking my wife vigorously by the shoulders whilst yelling 'The soups, Jenny! The sooooouuuups!!! ', I set to work. 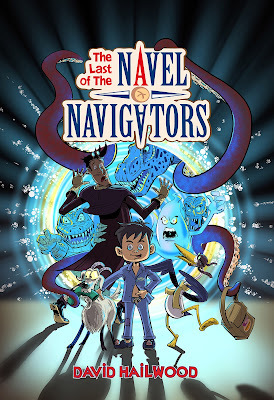 The book was finished in less than a month (it's quite a short one, as it's aimed at 7-9 year olds), and I was so pleased with the end result that I sent it straight out to an agent (The Eve White agency, who handle the Mr Gum books). I was quite surprised when they got back to me within the week, asking if they could read the full manuscript exclusively. They said a lot of complimentary things about it; compared my dialogue to the likes of Roald Dahl, said the characters were likeable and that it was very funny. Ultimately they chose not to go with it, but at least they gave me a lot of helpful feedback to work with (and the confidence and gusto to tackle the Navel Navigators novel afresh). And now, new and improved, and sporting over 20 illustrations drawn by my own fair fingers (with one illustration secretly sketched by the mighty Brett Burbridge. I'll let anyone who reads it try to figure out which one), it is out exclusively on Amazon's Kindle Select. This means that if you have Kindle Unlimited or Amazon Prime you can give the book a read for free. So please, get stuck in. All support is hugely appreciated (even if it's just shares with people you think might enjoy the book, or gold bullion sent to my usual Swiss bank account, every little helps) as I've entered it into Kindle's Storyteller 2018 competition, which is partially judged on the book's popularity. 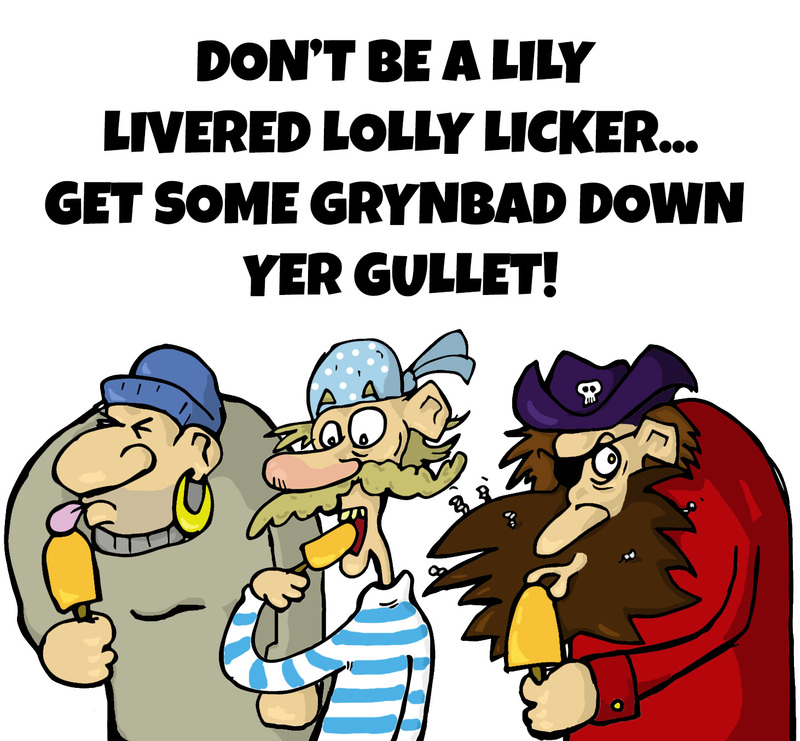 A bunch of lolly-loving lily-livered pirates, who inhabit Pea soup. So, there you have it...the secret of the soup, and the answer to how to avoid writers block. 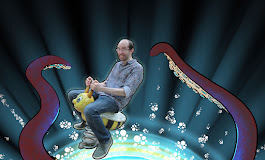 Find yourself a bald man armed with a custard video! A man who takes his writing VERY seriously!